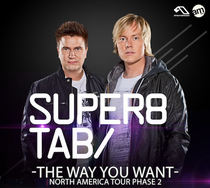 Finnish duo Super8 & Tab are about to serve up trance and progressive "The Way You Want" on the second phase of their North American tour, which will take them to seven cities in ten days. 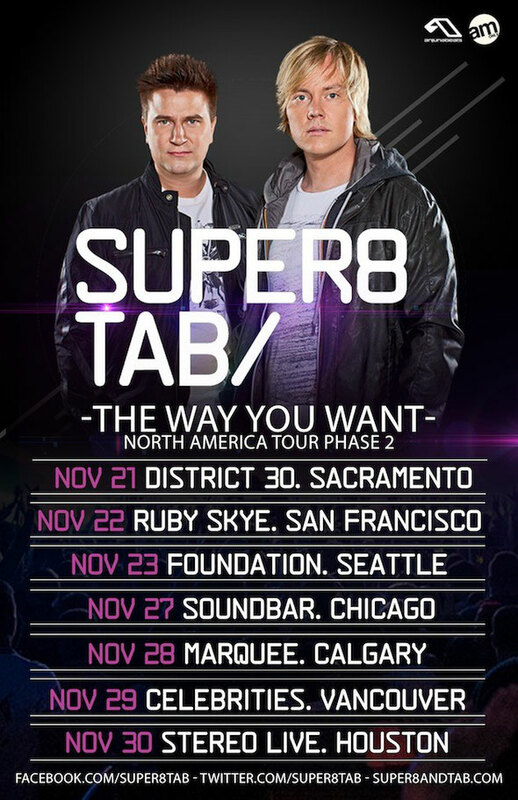 Kicking off in Sacramento on November 21 at District 30, the guys behind tracks such as 'Helsinki Scorchin,' 'Empire', 'Awakenings', and this summer's 'Your Secret's Safe' and 'The Way You Want,' will be bringing their live show to top clubs across the US and Canada. From San Francisco, Seattle and Chicago to Calgary, Vancouver and Houston, the boys are aiming to rock the dance floor! Check out the tour dates below.